We make available, top-grade Columbian Coffee Bean, which is naturally grown under hygienic conditions and processed with the help of high-end technologies. Our Columbian Coffee Bean has rich caffeine content that makes it highly energetic. 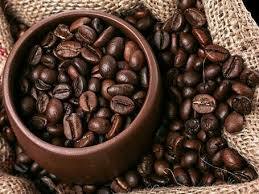 The coffee bean that we offer is hygienically processed and has a low moisture content of 9%. For supplying, we pack the coffee bean in high-quality packages that guards them from all the quality degrading factors like dirt, moisture, etc. Our Columbian Coffee Bean is in high demand because of its tempting aroma and strong taste. Our coffee has a refreshing taste and a long shelf life of 12-14 months.